Every so often we live in an era when certain upcoming horror movies elicit uncommon levels of anticipation. This happens to be one of those times. In this brief article, I will explore the latest horror films responsible for such high levels of interest among horror fans. These new horror movies are Zombie Strippers, Lost Boys 2: The Tribe, Paranormal Activity, American Zombie and Hellboy 2: The Golden Army. Zombie Strippers harks back to the video nasty era of the 1980s when horror movie gore was all the rage. Everything about this scary movie – from the high concept title, to the cast that includes Robert Englund and Jenna Jameson, even the humor where we see a stripper birthing billiard balls on a take of Full Metal Jacket – is over the top and out to at once shock and, let’s face it, delight. If Zombie Strippers where a food for horror fans, it would be a hugely scrumptious gastronomic joy. Sometime in the future, President Bush is at war with half the world. In a government laboratory a secret vaccine is under development to turn soldiers into zombies; the theory being that legions of the undead would be a formidable force in their world-conquering endeavors. When a crack team of special forces fails in their attempt to quash a zombie uprising within the lab, an operative becomes infected after a bite to the hand and flees the lab, in fear of becoming cannon fodder for his comrades, to a local strip joint. It is at this strip bar, owned by Robert Englund, that he infects the talent: a line-up of stunning female strippers. The first stripper to become a Zombie is Jenna Jameson. The onlookers are momentarily struck with shock, fear, disgust which is soon replaced, in a brilliant moment of comic-timing, with uproarious approval. It then becomes imperative among the strippers to become a zombie or fall in the popularity stakes and possibly lose employment. The real problems begin, however, when the beautiful strippers discover a hunger for human flesh! Do you remember the impact of The Blair Witch Project? Much of the reason behind the success for Blair was the combination of verisimilitudinous filmmaking and – at the time – uncommonly clever use of internet marketing. Paranormal Activity is one of our latest horror films anticipated to assume similar cult status to Blair. Yet this horror movie is no staged sham; no, this, my friends, is the real deal. A happily married couple move into a new house. They quickly come to believe that it is haunted. Is it a coincidence that the woman, Katie, has been haunted by spirits since infancy? In a bid to prove the existence of paranormal activity within their home the couple make a home movie over several months. Paranormal Activity is the result of their endeavors, a combination of shocking home movie and surveillance footage. Test screenings have reputedly seen audiences running screaming from the theater. An urban legend? 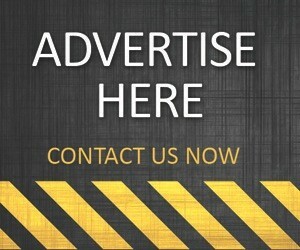 A clever marketing ploy? Or is this true horror story so blatantly terrifying that we cannot help be run away screaming . . . or at least consider the notion? Horror comics have for years been fodder for a glut of Hollywood horror movies. Hell Boy comics had a huge following and it was important to get it right or, from the very start, kill any possibility of a franchise. 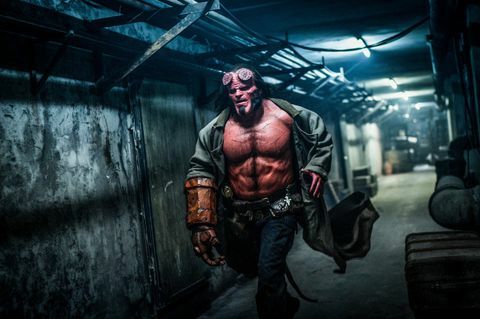 The huge anticipation over Hellboy 2: The Golden Army is proof – not that we need any – that the original Hell Boy movie, a stylish, Gothic horror thriller, was bang on the money. The sequel is reported to be even better! We explore the lives four characters who live among zombies in a Los Angeles community: A socially-witty convenience store clerk; Judy, a zombie in denial who is searching for love; Joel , founder of ZAG, Zombie Advocacy Group; and Lisa, a florist for a funeral parlor. I have purposefully saved the most anticipated of our latest horror films for last. Horror fans of Lost Boys, a classic horror movie in the vampire sub-genre, have waited 21 years for this, the massively anticipated sequel. The story reportedly takes place in Luna Bay, California, a small surfer community which is – like the original Lost Boys Santa Carla – riddled with blood-thirsty vampires. Corey Haim, the lead of the original horror movie, and Corey Feldman, the two Coreys, reprise their original roles. Chris Emerson and his sister, Nicole, are compelled to battle a crazed group of vampire surfers. Just like last time, the Frog Brothers are on hand to help in the fight against the undead! These are the latest horror films to have horror fans on tenterhooks. I hope you enjoy them!